You don’t have to wait for Banksy to visit a wall near you to snag one of the elusive artists works. 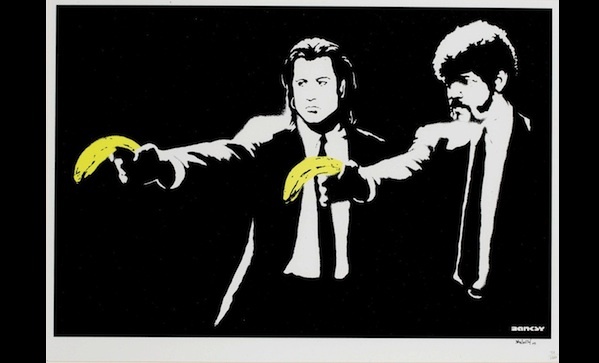 Pulp Fiction ($ – inquire) is one of 150 silkscreen on paper pieces, and is signed and numbered (you’re looking at number thirty-one). The price isn’t listed, but expect five figures.